In today's ever changing climate, it has become a requirement for tour operators to consider security officers for their youth, student, and tour groups. Generally, these are mobile groups that have their own inherit challenges. 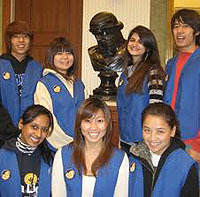 And, of course, tours with youth and student groups pose an additional set of challenges. At Eagle, we have a group of highly trained security personnel, and we will develop a custom security plan for your student and group tours. We maintain well-documented security plans for each group. These plans ensure that an informed, well trained, and organized security staff is always in place. This allows the tour groups, and their chaperones, or tour leaders, to focus on the tour and their other responsibilities. And, this leaves everyone's security and safety to be handled by our security professionals. Our security officer personnel come from various backgrounds to include the military, law-enforcement, corrections, and corporate security. Our staff continually attend training courses and schools to supplement their strong base of knowledge. So, when you're planning that once-in-a-lifetime tour, think about what security services you need and contact Eagle Protection Services to discuss your tour group safety. 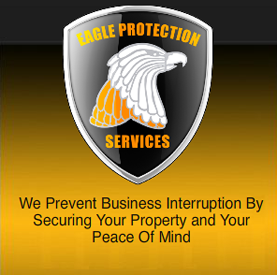 Protecting everything from apartment and office buildings, residential communities, student tour groups, special events, personal protection, and more, Eagle Protection Services can make it fast and easy to book the security details you require. Contact us with your details, and an Eagle representative will contact you within 24 hours to discuss your service.